Writer, Director, Editor and Music Supervisor Marie Jamora spoke with PBS about the history behind young Filipinx DJs from California and how they inspired the creation of her film, "Flip the Record." PBS: We see the challenges that Vanessa faces from her family and peers in an attempt to pursue her passion to be a DJ like her brother. What was the inspiration behind introducing the sibling rivalry and sharing this story from a woman’s perspective? Marie: I’ve been researching this subject for a long time. My partner and I have been making a feature documentary for almost five years about these young Filipinx DJs from California that quietly shaped American music through the ‘80s and ‘90s. Through all our research we’ve met some amazingly strong women – DJ Symphony from The Beat Junkies, DJ Kuttin’ Kandi, and MC Lani Luv. These ladies came up through the mobile DJ scene and were some of the first role models for Fil-Am women. Although I’m not a DJ myself, as a musician and as a filmmaker, I have an appreciation for the struggle of having to prove oneself to your male counterparts, and that’s what inspired me to tell this story from a woman’s perspective. I’m also the youngest of five siblings, so I deeply know how it feels to compete for attention and wanting to hang out with the older kids. Also, my kuya (big brother) used to bully me a lot as a child, so I drew a lot from my own experience for Rome and Vanessa’s dynamic. I don’t think I ever really had my brother’s respect until I immigrated to the U.S. on my own, and like Vanessa, I never stopped pushing back in terms of making myself heard. Now my brother and I have a great relationship, and I think maybe the acknowledgement and respect Rome shows Vanessa at the end of the film is a bit of a reflection of how our affinity has evolved over the years. I never stopped pushing back in terms of making myself heard. PBS: Can you tell us more about mobile DJs and the history behind turntablism in Filipino-American communities? Marie: When I moved to the States five years ago, I was surprised by the overabundance of Filipinx-American DJs I encountered. It seemed like every Fil-Am I met was either DJ or had a brother / sister / cousin / uncle that was a DJ. Having grown up in the Philippines during the golden age of Manila’s indie rock scene, everyone I knew coming up had a guitar and a band, but the Fil-Ams I met here all had turntables and crews. It’s a peculiar phenomenon that makes a lot more sense when you break down Filipino culture – Filipinos love to party! We throw parties for every major life event, from birth ‘til death, (literally, even some funerals have DJs) and every party needs a DJ. Mostly all the Filipinx DJs who are still active and operating at the highest level, e.g. Q-bert, Mix Master Mike, Shortkut, Apollo, Icy Ice, Rhettmatic, etc. all came from one of two major Fil-Am hubs Daly City or Los Angeles. These two towns were like crucibles for talent. Seminal to the young scrappy kids that didn’t want to join gangs or just assimilate and blend in like their parents; they chose to form crews, invest in equipment, market themselves, and learn to be successful businessmen while still in high school. 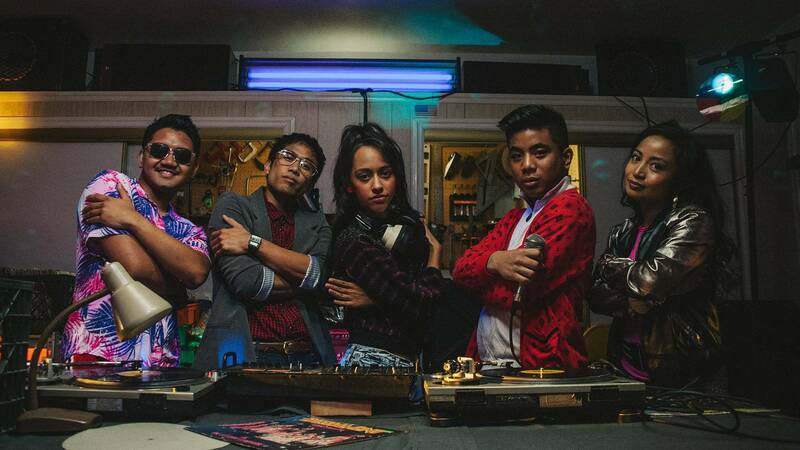 These Fil-Ams transformed the DJ into a global phenomenon. They pushed the scratch movement and elevated the turntable into a musical instrument, and yet hardly anyone knows about their contribution. The New York and LA hip-hop stories have already been told, and through “Flip The Record” and our documentary, “Legions Of Boom,” we want to shine a light on the Northern California/Bay Area scene, and share how important these kids were to American music.